Feng Shui Q & A : Power In The Kitchen! First of all, lets look at what she’s asking. 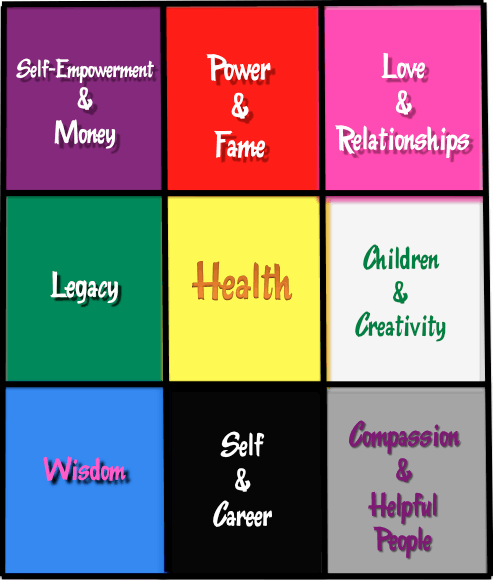 The bagua map above lines up to your home so the bottom row contains the entrance door. So, if you kitchen is in the Powre area, its in the back center of your home. The back of a space is the overall power of a space. Elementally, fire is known to really “activate” this entire area- Money, Fame & Relationships are all fed by fire. In the element cycle, water “puts out” fire, just as it does in nature. 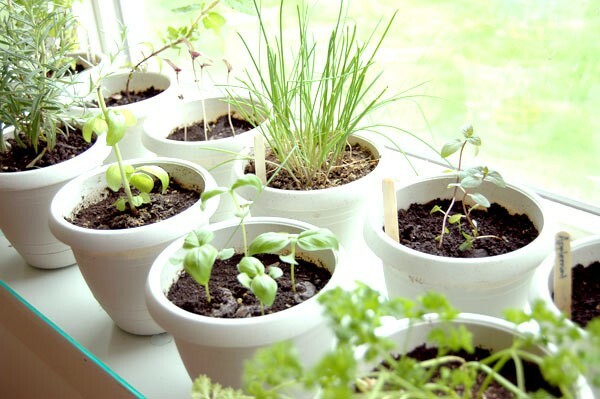 A quick tip to start is to load up your kitchen with plants (a gorgeous look and feel along with a great dose of fresh air) to minimize the water energy you decribe coming from the faucets, dishwasher, etc. Another is to cook alot with your stove, as this generates fire energy. Also, recognize that the kitchen is the most nourishing part of the home, so sticking with great food is a highly prosperous activity. Get busy in the kitchen and you will build your personal energy as well as the “fame” oriented fire that we all love! Your Home Can Be Your Secret To Success! Have Things Felt Too Up & Down Lately? Previous post: Are You Consistent? Next post: 7 Reasons You Will Always Want Peroxide On Hand!